Set mainly in Louisiana during the years 1861- 1868, this passionate novel of men, women and war tells the story of the author's ancestor, Confederate soIdier Willie Burke, during the American Civil War. A classic Burke hero, Willie is soon in conflict with his superiors. Many of the characters are based on real historical figures and are as memorable as any Burke has created. 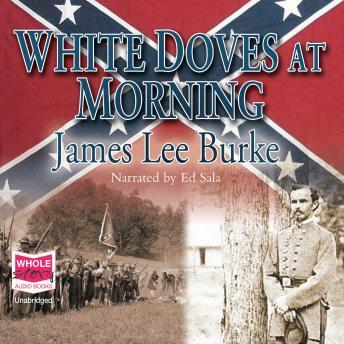 Mulatto, Flower Jamison, victim of terrible abuse who is determined to better herself; Abigail Dowling, whose Unionist sympathies put her in constant danger and Colonel Ira Jamison, rotten to his core yet who would rise from a cesspit smelling of roses... White Doves at Morning is an epic novel of the American Civil War.